"The US and its allies must cease encouraging violence by pushing for violent, extralegal regime change." As the political crisis in Venezuela deepens, a group of scholars and experts across the Americas has issued a statement condemning the United States for interfering in the country’s internal affairs and urging the international community to do what it can to ensure a negotiated end to the standoff between the government of Nicolás Maduro and the opposition. The full text of the statement and list of signatories is appended below. Venezuela’s political polarisation is not new; the country has long been divided along racial and socioeconomic lines. But the polarisation has deepened in recent years. This is partly due to US support for an opposition strategy aimed at removing the government of Nicolás Maduro through extra-electoral means. 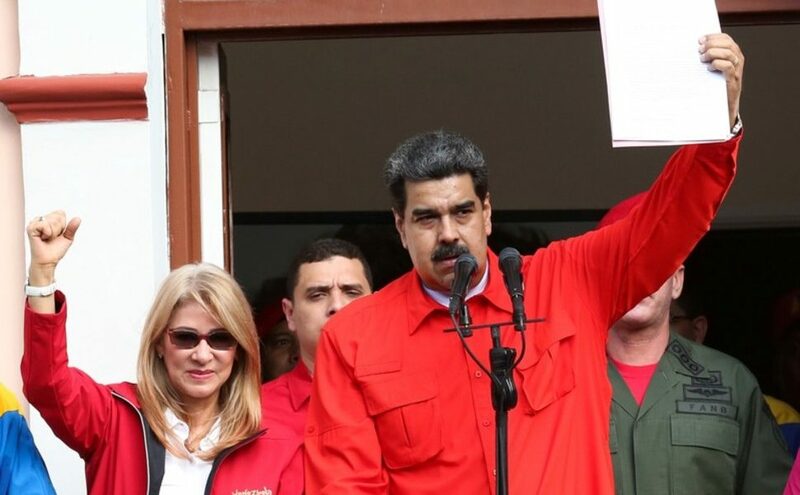 While the opposition has been divided on this strategy, US support has backed hardline opposition sectors in their goal of ousting the Maduro government through often violent protests, a military coup d’etat, or other avenues that sidestep the ballot box. Now the US and its allies, including OAS Secretary General Luis Almagro and Brazil’s far-right president, Jair Bolsonaro, have pushed Venezuela to the precipice. By recognising National Assembly President Juan Guaido as the new president of Venezuela ― something illegal under the OAS Charter ― the Trump administration has sharply accelerated Venezuela’s political crisis in the hopes of dividing the Venezuelan military and further polarising the populace, forcing them to choose sides. The obvious, and sometimes stated goal, is to force Maduro out via a coup d’etat. The reality is that despite hyperinflation, shortages, and a deep depression, Venezuela remains a politically polarised country. The US and its allies must cease encouraging violence by pushing for violent, extralegal regime change. If the Trump administration and its allies continue to pursue their reckless course in Venezuela, the most likely result will be bloodshed, chaos, and instability. The US should have learned something from its regime change ventures in Iraq, Syria, Libya, and its long, violent history of sponsoring regime change in Latin America. In such situations, the only solution is a negotiated settlement, as has happened in the past in Latin American countries when politically polarised societies were unable to resolve their differences through elections. There have been efforts, such as those led by the Vatican in the fall of 2016, that had potential, but they received no support from Washington and its allies who favoured regime change. This strategy must change if there is to be any viable solution to the ongoing crisis in Venezuela.